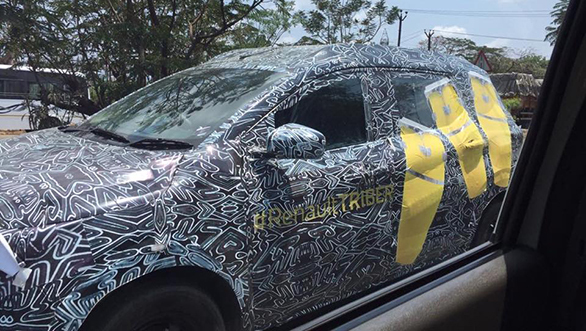 Another instance where the Renault Triber has been spotted on test in India which indicates that the launch of the upcoming French will take place sooner than expected. Along with body proportions, the shows key features and styling elements even with a disguise. 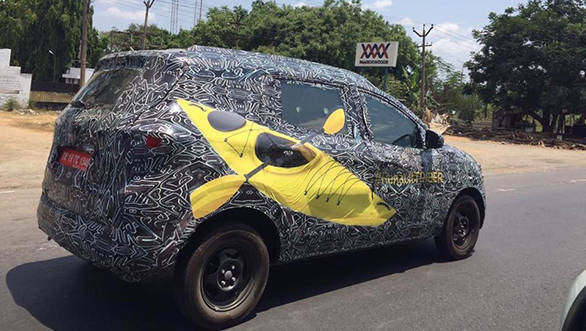 The spied Renault Triber has the brand and the product name on either side and decals of what appears to be a kayak and surfing board - which could mean that a teaser video or images of the Renault Triber should be expected soon. The shows flared wheel arches which are in line with the family design, that said the wheel arches could be equipped with body cladding for a more crossover-like stance. The panels on the roof seem beefy which would indeed be roof rails - similar to the ones seen on the Renault Duster. The Renault Triber could be based on a new platform to make it compliant with the stringent safety norms that will be regulated from October 2019. That said, the benchmark car in the segment that the Triber will be positioned with, is the Tata Nexon with a five-star Global NCAP rating. Along with the compact crossovers, the Renault Triber will rival the likes of the Maruti Suzuki Ertiga. 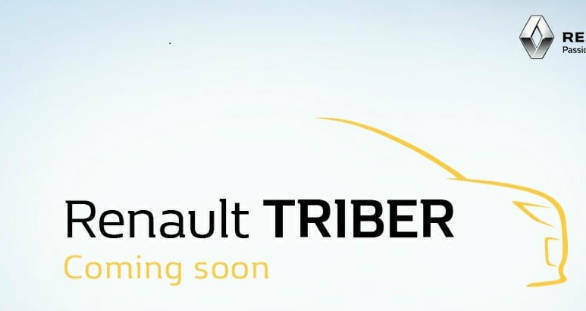 Both, the petrol and diesel engines will be offered in the Renault Triber initially with a manual transmission. Automatic will be added to the portfolio eventually. Renault recently confirmed that it would focus on its core models in India to gain more sales. This vehicle follows that strategy. The Kwid had impressed buyers with its space, feature list and value. The new will hope to be as appealing.